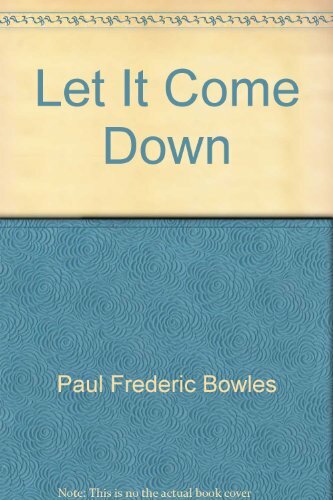 A dark, even bleak, novel, Let It Come Down follows American Nelson Dyar as he arrives in the International Zone of Tangier, Morocco to begin a new job and a new life. Dyar's exploration of the brothels, drugs and unsavoury characters of Tangier leads him gradually, logically, to a sinister conclusion. Paul Bowles was born in 1910 and studied music with composer Aaron Copland before moving to Tangier, Morocco. A devastatingly imaginative observer of the West's encounter with the East, he is the author of four highly acclaimed novels: The Sheltering Sky, Let It Come Down, The Spider's House, and Up Above the World. In addition to being one of the most powerful postwar American novelists, Bowles was an acclaimed composer, a travel writer, a poet, a translator, and a short story writer. He died in Morocco in 1999.